James Murdoch: What Did He Know And When? : The Two-Way The latest key development in the U.K.'s "hacking scandal" centers on News Corp. executive James Murdoch (son of Rupert) and claims he misled lawmakers' earlier this week. The younger Murdoch says he did not. James Murdoch: What Did He Know And When Did He Know It? The latest key development in the U.K.'s "hacking scandal" centers on News Corp. executive James Murdoch (son of Rupert) and "claims he misled lawmakers" earlier this week, The Associated Press writes. The wire service adds that "a [British] lawmaker called for a police investigation and Prime Minister David Cameron insisted the media scion had 'questions to answer' about what he knew and when he knew it." "Mr. Murdoch on Tuesday said before a parliamentary committee in the U.K. that he had never been made aware of the e-mail — even though he had approved a roughly £700,000 settlement ($1.1 million) in the matter." 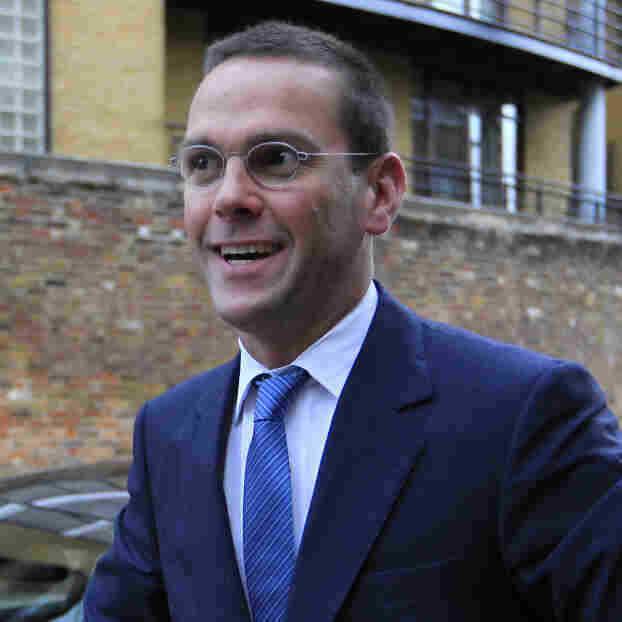 According to the AP, "News International, News Corp.'s British newspaper arm, said James Murdoch stood by his statement Tuesday to the parliamentary committee investigating the phone-hacking scandal." Also today, the Journal reports that the "U.S. Justice Department is preparing subpoenas as part of preliminary investigations into News Corp. relating to alleged foreign bribery and alleged hacking of voicemail of Sept. 11 victims, according to a government official." Meanwhile, the Labor Party member of Parliament who has been most vocal in raising questions about the actions of News Corp.'s U.K. newspapers, tells Britain's The Telegraph (not a News Corp. property) that he believes the scandal will expand to cover evidence that e-mails, as well as cell phones, were hacked.